Do you want a closer, more intimate relationship with the Lord? I know I do. I want to walk more closely with Him every day. I want to hear Him speak to me. I want to know His thoughts, His heart, His mind. 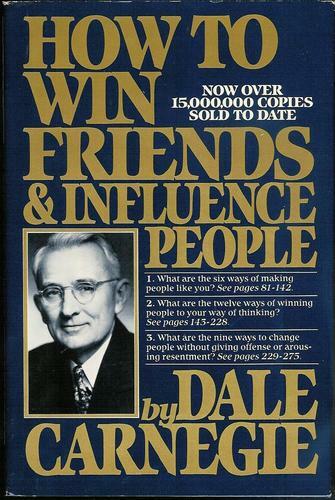 Recently, I’ve been reading the book pictured here by Dale Carnegie. Our pastor has assigned it to us to help us as a ministry team to be more effective in building our church, reaching out to others and ministering to the needs of those around us. As I was reading some of the suggestions in this book, I got to thinking, what if I treated my Lord more like this? How often do I complain to my Lord? How often do I argue with Him and criticize His way of doing things? That’s not submission. It certainly doesn’t make His job any easier, and it doesn’t make my life any better. It’s a poor attitude and needs to stop. How often do I give Jesus honest and sincere appreciation? Do I remember to thank Him? Do I praise Him for the innumerable blessings He has poured out on me? He has given me every breath I take. He has given me food to eat, water to drink, a warm house and warm clothes to wear. How can I not thank Him? I don’t have to arouse in my God an eager want. He already wants nothing more than to bless me and make me more like Him. However, do I let Him? Do I submit to His will and follow His lead for my life? Do I even realize just how much He loves me and how much He gave to show that love? He has invested His very life into me (and you too!). What do I do with that knowledge? Do I work with Him or against Him? As I ponder these things, I am humbled. I know I have a long way to go in blessing my God as much as He has blessed me. If I truly want to grow closer to Him, I need to check how I treat Him. As I apply His own ‘Golden Rule’ to the way I treat Him, our relationship grows and flourishes. You know the Golden Rule don’t you? ‘Do to others as you would have them do to you. So, why don’t we treat Jesus as we would like to be treated ourselves? I would love to hear about your own journey in growing closer to Jesus. Be sure and tell me about it in the comments below! God bless you all! I think Mr. Carnegie would approve this message!